"The preacher had to call the vet for you sick pups." 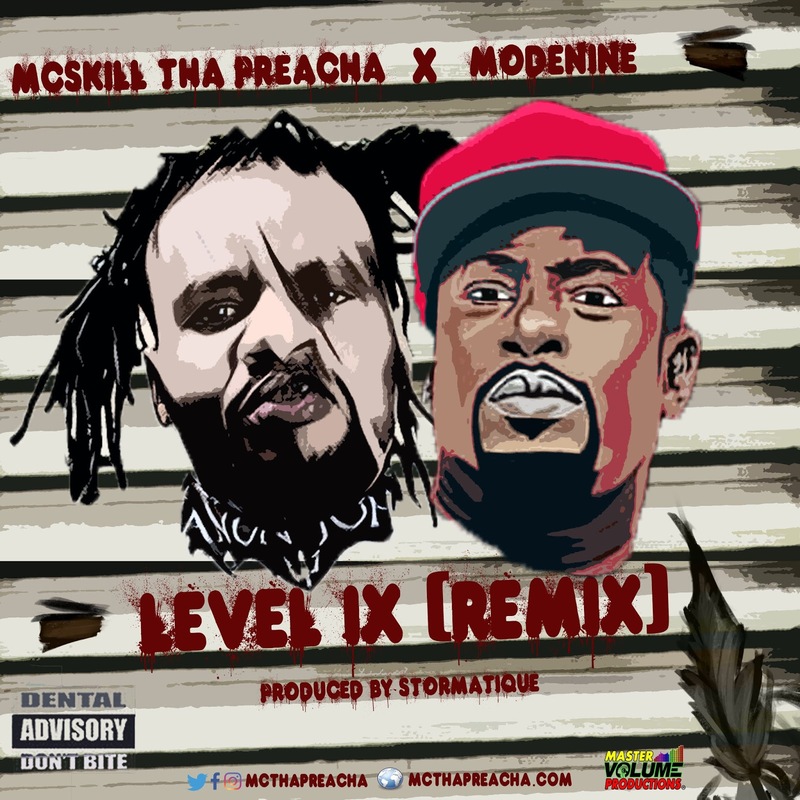 MCskill Tha Preacha recruits Nigerian hip hop veteran Modenine for the remix of his "The 9th Chapter" standout Level IX. Over production from Stormatique, Africa's John Hancock kicks off the bar fest with lethal raps about his unrivaled pen game. "The rap Macguyver slash hiver spitting raw coke/ You rappers are not in my league, you been stoked," he brags. "You can only win by mago mago/ Most of y'all smoke rock and turn Frago/ I does this, you in and out dabble/ With the inaudible babble you’re kicking a wave saddle/ Modo bars outta this world like space travel." 'I do not rate your crew they all binary," he continues. "Primary base 2 rappers, a bunch of 1’s and 0’s." From there on, McSkill takes over with some of the best bars I've heard from him in a while. "I see false prophets drop inspirational quotes/ They Fake kulture keepers, kill 'em in their near post/ Supernat and Polymath, we ignite shows/ Got that old school delivery, Nipost." He later goes on to compare his skills with that of Marvel's ultimate villain, Thanos. "When it comes to raw skills, they lack those/ The bad bols like thanos," he raps. "Unkillable, with a snap of finger i end foes." The original version of the song, which is 9-minutes long can be found on his ninth studio LP, The 9th Chapter released in October. Available for streaming worldwide, "The 9th Chapter" also features collaborations with Justina Lee Brown, Payper Corleone, Freeborn and comedian Lasisi Elenu.